You have a brilliant idea for a screenplay. You start writing, totally on fire. Ripping through that first act. Launching into Act 2… only to hit a standstill. What happened to your momentum? This script was supposed to practically write itself! But other times, the problem is really in the foundation. And whether you do it now or later, at some point you’ll need to revisit square one – the idea – to make sure there’s enough there for a screenplay at all. To examine the idea itself, we’ll need to get out of the treeline and look at the forest. Zoom out and see the shape of the thing as a whole. To do that, we’ll need to look at the story in one sentence, aka the logline. 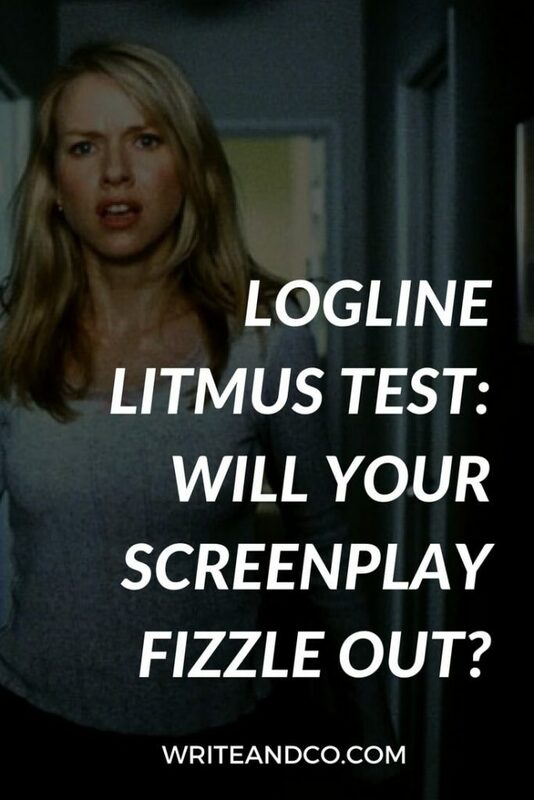 If you shore up your screenplay logline to begin with, you can save yourself a lot of agony (and rewriting) later on. 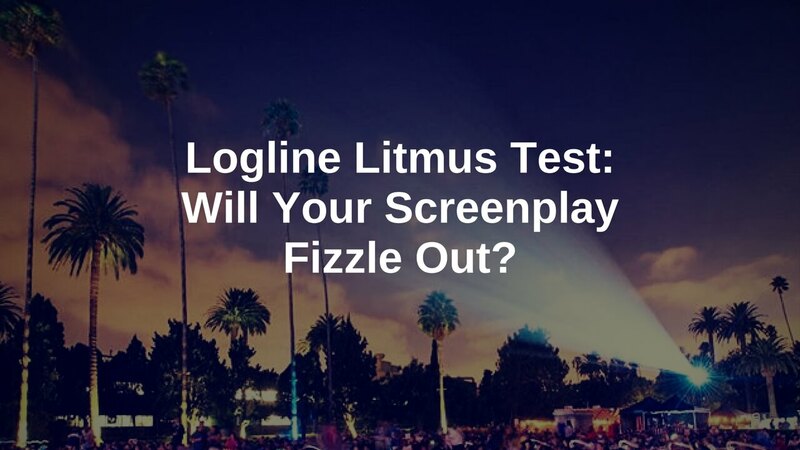 A logline is the briefest possible description of the story contained in your screenplay. What are the essential story components? Once you have the basics, consider what additional context may be needed. This can include things like establishing the unique world, or how the character pursues his goal, or what’s at stake if he fails. But character + goal + conflict is the bare minimum that must be included in order to convey the story. And for internal use — during your private writing process — clarity and specificity of those elements is more important than catchy phrasing. Now, this definitely isn’t the most elegant logline ever written. But you can see how putting just those basic elements together in a sentence conveys the story we’ll see in that movie. As you might already have guessed, if a logline is missing any of the basic story components, it can be a red flag. That’s not to say there’s definitely a problem – perhaps the logline just needs to be tweaked. Fixing the logline is pretty easy, as long as you know what all of the elements are. But here’s where it gets tricky: even if you’ve written a logline with all three elements, you could be overlooking a glaring weak spot in your story. That’s because it’s easy to fill in the character’s goal with something that sounds good, but doesn’t actually carry enough story material to generate a movie. A screenplay needs a goal that will take most of the movie to achieve. Forces of antagonism and other obstacles get in the way, too, of course. But the goal itself should have a degree of difficulty or involvement for the character to navigate. Some of the words we reach for when writing loglines are deceptively dramatic. They sound like there’s something to them, but in reality they only convey a moment or two of story time. If a character’s goal is to decide, or choose, or discover, or realize, you might not have enough story action to sustain a screenplay. Actions that can be completed, start to finish, in one scene are the equivalent of logline smoke and mirrors. It sounds like there’s something going on, but the words fill more space than the actions do. Words that convey more activity — and more story — are things like investigate, or rescue, or win over. Act 2 is when the hero is actively pursuing her goal. It makes sense that if the goal is something that can be done in a moment, you — the writer — will quickly run out of scenes to write. If you start out with a logline that’s all smoke and mirrors, it’s very likely you’ll find yourself floundering in Act 2. So let’s make sure that doesn’t happen. Once you’ve written out a version of your logline containing the essential elements, take a hard look at how you’re conveying the goal. What does pursuing the goal look like onscreen? What steps must be taken to achieve success? It’s a good sign if there are several steps or phases required in accomplishing the goal. Can you break the goal down into a few types of action that must be taken? In addition to a multi-step process to go through, it also bodes well for your screenplay if there’s variety in the types of things the character will need to do to succeed. For example, in Die Hard, if we identify John McClane’s goal as “to save the hostages from the terrorists” we can see immediately that saving the hostages lends itself to a multi-step endeavor. Right? It’s not just a matter of knocking on the door and asking for them to be handed over. If you can brainstorm several potential actions the character might need to take – even if you don’t use all of them in your screenplay – you’re probably on the right track. So when you’ve written what sounds like a killer logline, give that story goal an extra look. Make sure it’s difficult enough, arduous enough to sustain a screenplay. Take the time to make sure you have enough story for a movie – and fix that foundation — before you get stuck in Act 2. For more on this topic and help with your own logline, check out How and Why to Write a Good Logline.